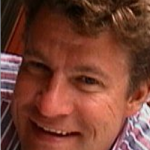 Rupert Hart is the author of “CrowdFund Your StartUp! : Raising Venture Capital using New CrowdFunding Techniques,” the #1 in books on Amazon for crowdfunding for the last year. Yes, we all want to know: Is it legal, and what can entrepreneurs do right now? 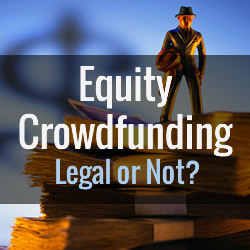 Sadly, Equity crowdfunding, as per the JOBS Act, remains in a confused state. The best opinion I can get is that it would be unwise or illegal to engage in the three main practices in the JOBS Act until the SEC weighs in on crowdfunding. My guess is that by September 2013 they will allow some aspects, not all. But there are some things you can do now. Read on below. Equity crowdfunding, as you know, is the term used for using crowdfunding to raise venture capital for a company by selling shares. The JOBS Act, incorporating the CrowdFunding Act, was signed into Law in April 2012. It promises an entirely modern way of doing things, and several countries like the UK and Sweden have already been doing this for some years. Equity Crowdfunding allows entrepreneurs to get funded when they might not otherwise, and it democratizes investing by allowing investors to get into deals normally only available to wealthy investors. While it is law, the problem is the SEC, which has been tasked by Congress to put meat on the flesh of the bones of their Act and implement it but which is running late. The SEC has always been very concerned with protecting “widows and orphans” and crowdfunding gives them headaches about investor protection. The main legal restriction is the 1933 Act, enacted after the Great Crash. The three major innovations promised in the JOBS Act are: a. Entrepreneurs can now tell people about your company and its fundraising (seems amazing that they haven’t been able to since 1933! ), b. companies can now sell shares to non-accredited (i.e. not just high net worth) investors, c. firms can have over 500 investors (at $2000 you can reach $1m really quickly). The JOBS Act has the caveat of a maximum $1m raised per year, and also offers reduced reporting requirements. Entrepreneur’s ability to market the deal. The JOBS Act would allow you to tell anyone you meet, without a broker present and without checking out their net worth and income, and send them to a website for financial details. It also allows general solicitation, that is, announcing on the internet that you have a company for funding then sending them to a website for more details. I bet these two parts will be a sticking point and will be watered down if offered at all. Reduced net worth or net income requirements. The JOBS Act no longer limits investors to a net worth over $1m and a high salary. I would be willing to bet the SEC will allow this. It won’t stop the speculators who believe this is the next best thing and will register under their grandmother’s name, however. Over 500 investors. With small amounts at stake, I bet the SEC would allow this. More recently, in my opinion many people have read too much into the well-known no-action letters from the SEC received by FundersClub and AngelList, which they believe heralds a relaxed attitude from the SEC towards equity crowdfunding. But, as far as I can tell, these companies are still within the existing law in that they are promoting to accredited investors and not to the general public. The letters are easily available on the web and you can decide for yourself. Get a licensed broker. You should sign up a licensed broker. Get a level 7 and a level 63 license; for about $500 and a few weekends work you will avoid upsetting the SEC and you will avoid making big errors. Get legal advice. This is not your usual KickStarter deal, baby! Consider existing financing alternatives: conventional crowdfunding for rewards or selling shares to accredited investors using a Private Placement Memorandum for the time being. Do not relax your reporting. Prepare for equity crowdfunding. You can still motivate your fan base and keep them whipped up. Equity CrowdFunding has the potential to forever change the landscape for startup financing; let’s hope the new SEC Commissioner, Mary-Jo White (“you don’t mess with Mary-Jo”) will be able to make progress soon! Legalese. The Author accepts no liability for the views expressed in this article. You are advise to take legal advice about your specific situation.